Families of children with developmental delay (DD) need to adapt to the child’s disability and make use of family strengths to maximize the child’s developmental potential. Family resilience (FR) is the level of capacity of a family to rebound from adversity. 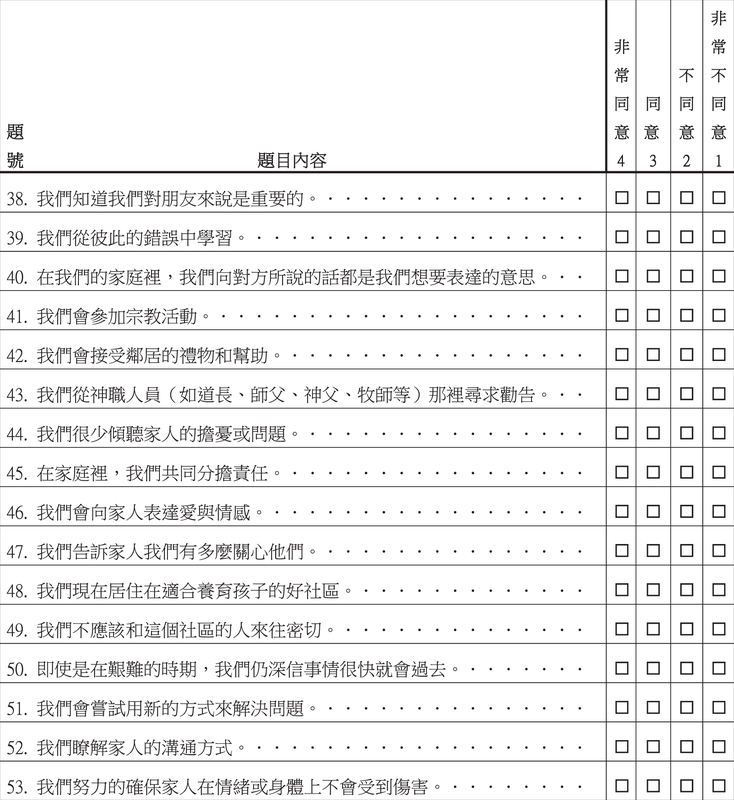 The purpose of this study was to develop the Mandarin Chinese version of the Family Resilience Assessment Scale (FRAS) and to examine the psychometric properties of the scale among families of children with DD in Taiwan. Independent translations, back-translations, and committee reviews were performed. A total of 502 primary caregivers of children with DD in Taipei were recruited as validation samples. Item analysis demonstrated that the critical ratio values of all 54 items were >3 (p < 0.001), except for one item, which was dropped from further analysis. 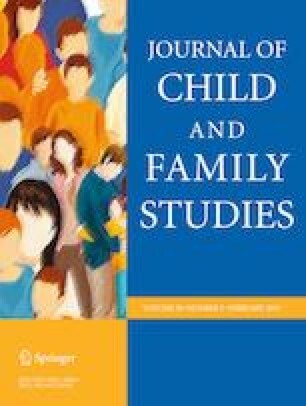 Confirmatory factor analysis on the 53-item FRAS supported the original six-factor structure: family communication and problem solving, utilizing social and economic resources, maintaining a positive outlook, family connectedness, family spirituality, and ability to make meaning of adversity. Families that were good in “maintaining good interactive relationships” and “using effective coping strategies” had higher mean scores on the FRAS than their counterparts. The scale exhibited good internal consistency (Cronbach’s alphas were 0.96 for the overall scale and 0.68-0.96 for subscales) and test-retest reliability at a 2-week interval (intra-class correlation coefficient = 0.88). The study confirmed that the Mandarin Chinese version of the FRAS is a reliable and valid instrument to assess FR in families of children with DD in Taiwan. We are grateful to the caregivers who participated in this study. We also thank all members of the hospitals, kindergartens, child development centers, and early intervention community resource centers for their help in recruiting subjects. The generous consent of Dr. Meggen Tucker Sixbey to use the FRAS in this study is highly appreciated. This study was funded by the Cardinal Tien Junior College of Healthcare and Management, Taiwan (grant number CTCN-103-11). S.J.C. designed and executed the study, administered the data collection, analyzed and interpreted the data, drafted the article, and edited and revised the final manuscript. Y.T.C. assisted with participant recruitment, administered the data collection, and commented on the manuscript. P.T.C. assisted with participant recruitment, administered the data collection, and commented on the manuscript. L.Y.C. designed the study, analyzed and interpreted the data, drafted the article, and edited and revised the final manuscript. All authors approved the final version of the article to be published. This study was approved by the Institutional Review Board of Cardinal Tien Hospital (Protocol No. CTH-103-2-3-017 and CTH-103-2-3-054). All procedures performed in studies involving human participants were in accordance with the ethical standards of the Institutional Review Board of Cardinal Tien Hospital and with the 1964 Helsinki declaration and its later amendments or comparable ethical standards. Department of Statistics, Ministry of Health and Welfare, R.O.C. (15 August 2016). Services for children and youth. https://www.mohw.gov.tw/cht/DOS/Statistic.aspx?f_list_no=312&fod_list_no=4179. Department of Statistics, Ministry of Health and Welfare, R.O.C. (31 March 2017). Overview of early intervention subsidies for children with developmental delay. https://dep.mohw.gov.tw/DOS/cp-2978-13983-113.html. Department of Statistics, Ministry of Health and Welfare, R.O.C. (15 August 2018). Family support. https://dep.mohw.gov.tw/DOS/lp-2976-113.html. Department of Statistics, Ministry of the Interior, R.O.C. (19 March 2011). Interior Statistics Bulletin for the twelfth week of 2011 (Overview of early intervention services for children with developmental delay in 2010). https://www.moi.gov.tw/files/site_node_file/5914/week10012.pdf. 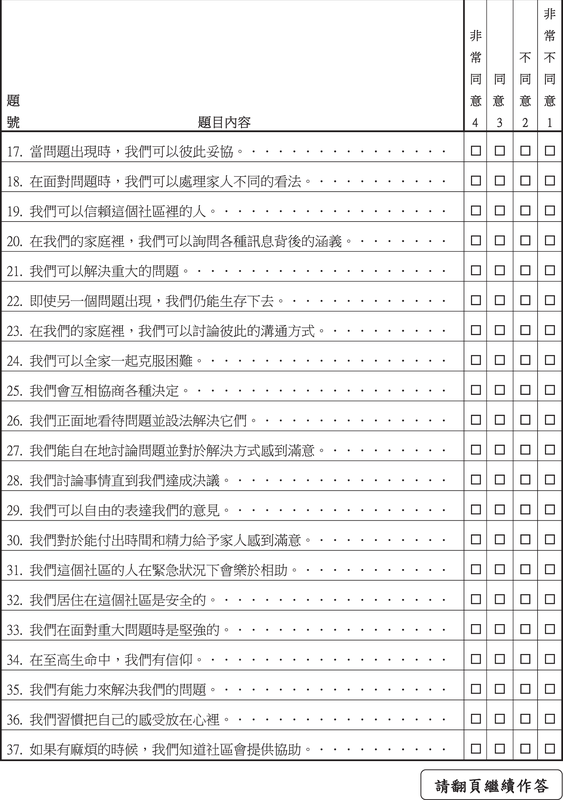 Directorate-General of Budget, Accounting and Statistics, Excutive Yuan, R.O.C. (September 2012). 2010 Population and Housing Census: Analysis of statistical results of the general report. https://www.stat.gov.tw/public/Attachment/21081884771.pdf. 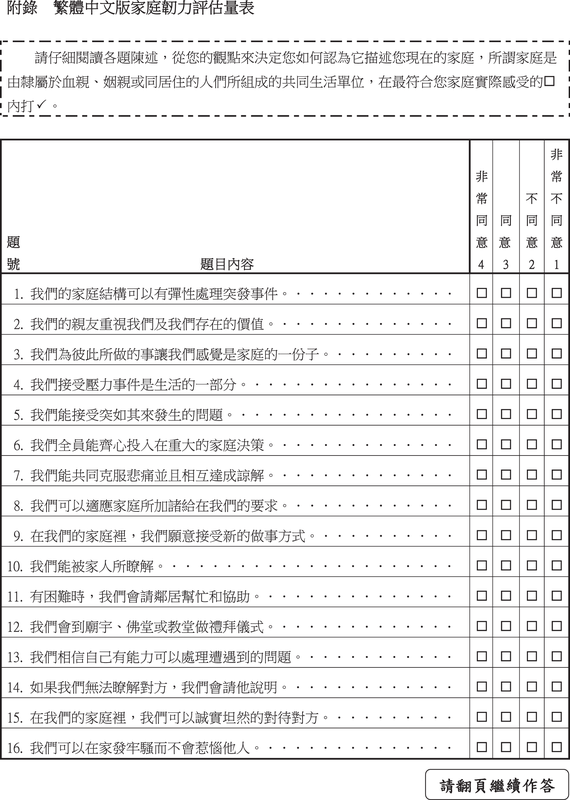 Laws and Regulations Database of the Republic of China (16 December 2015). People with Disabilities Rights Protection Act. http://law.moj.gov.tw/LawClass/LawAll.aspx?PCode=D0050046. Ministry of Health and Welfare, R.O.C. (15 August 2017). Guarding slow-flying angels, the National Health Insurance Administration encourages institutions to provide quality early intervention services. https://www.mohw.gov.tw/cp-3547-37204-1.html. Plumb, J. C. (2011). The impact of social support and family resilience on parental stress in families with a child diagnosed with an autism spectrum disorder (Doctoral dissertation, University of Pennsylvania). http://repository.upenn.edu/cgi/viewcontent.cgi?article=1015&context=edissertations_sp2. Sixbey, M. T. (2005). Development of the family resilience assessment scale to identify family resilience constructs (Doctoral dissertation, University of Florida). http://etd.fcla.edu/UF/UFE0012882/sixbey_m.pdf. Social and Family Affairs Administration, Ministry of Health and Welfare, R.O.C. (12 August 2013). Early intervention for children with developmental delay. https://www.sfaa.gov.tw/SFAA/Pages/Detail.aspx?nodeid=148&pid=639.